Raymond Clayton White was born in Philadelphia in the seventies. After a brief career in professional baseball, he entered the world of fine art as a professional life drawing model, working daily in all the finest art schools in Los Angeles county. This particular life experience opened the door ideally for Clay to paint the way he does today; his painting process is quite literally composing the internal dimensions of the human body and expressing that energy outwortly, on the canvas, through the practice of "action painting". 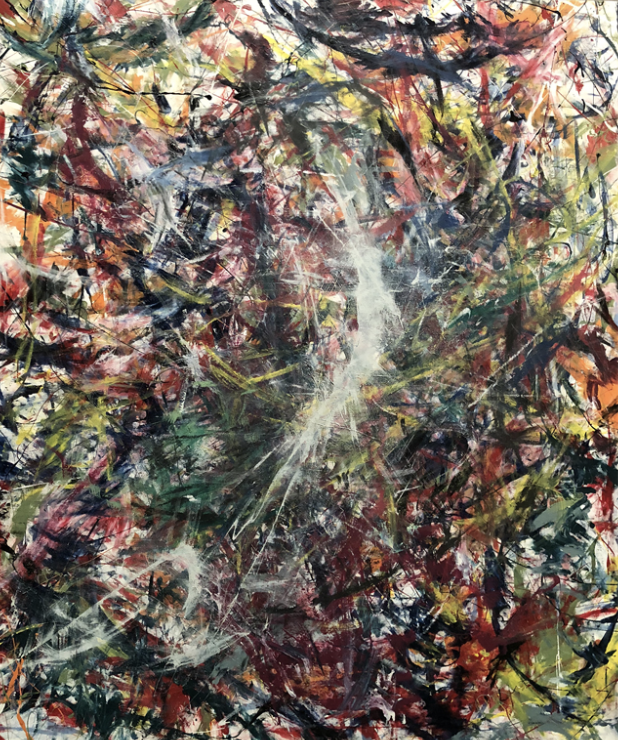 Since he painted his first action painting in self taught fashion in 2014, he has completed over a hundred large scale paintings, mostly on canvas and cardboard. Clay`s fascination for martial arts and dynamic, athletic movement has driven him to experiment his unique painting technique on various surfaces, such as trampoline beds. The main focus for Clay in his work, remains the dynamic, expressive action of the human form and it’s transposition onto the canvas. Clay`s work has been displayed in several shows throughout Southern Californa and is used for set design in TV shows and films in Hollywood. For inquiries about works please email claywhiteart@yahoo.com.